Each in bubblebag,1pieces per box,several pieces per carton. 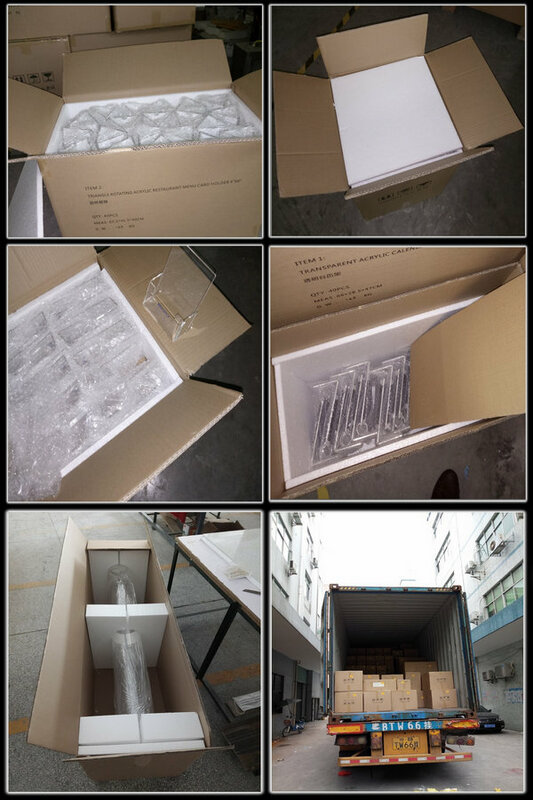 Shipping is by express,air or sea,it depends on the product volume. Here below are some photoes of packing for reference. We are leading manufacturer of acrylic plastic crystal products in shenzhen. We can provide free samples for small products. Our delivery is fast.We have best design team to help our customer for different design idea. 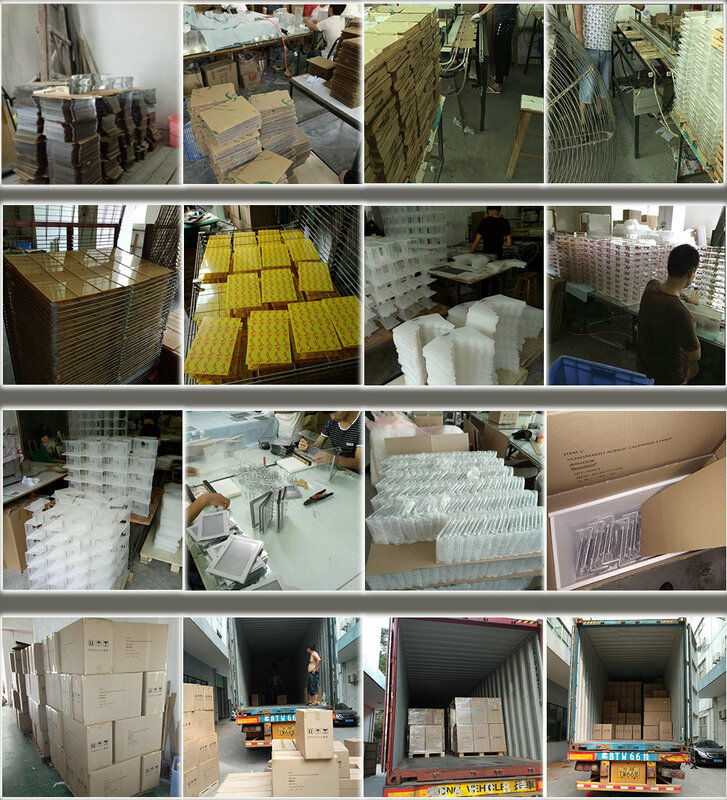 All of our products are strictly inspected before shipping. 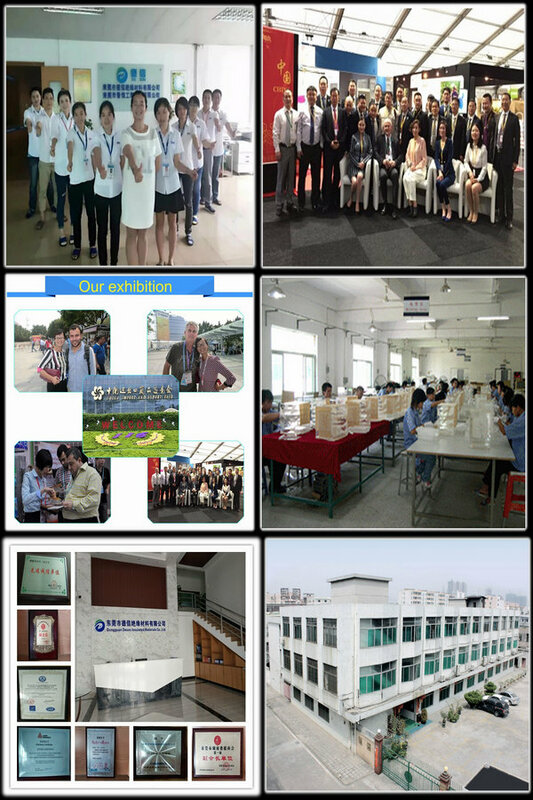 We are leading factory of acrylic products since 2003.All of our products can be custom made. Please just send enquiry to me if you are interested in our products! Any query from you are welcome ! What kind of product you can provide ? We can supply all kinds of acrylic products,many plastic box,crystal products and some other usefull products. Can you custom make products? Yes,most of our products are custom made,please tell me the details of the product you need and the quantity and I will quote our best price to you. We are direct factory in shenzhen with experience of over ten years.We can export our products to all the country in the world. 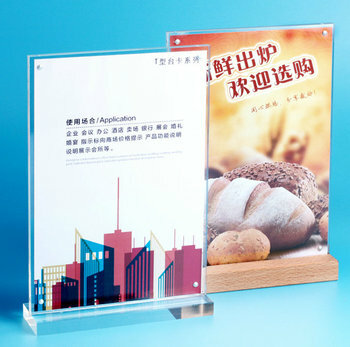 Why you use acrylic for making display products ? Safe and eco-friendly,suitable to contain food. High transparent,acrylic product is beautiful. Can be heated,printed,laser cut,engraved and so on.Many products can be made by acrylic. Acrylic display is first grade. What kind of products are made of crystal ? Crystal is usually used for making trophy,award souvenirs.Its very transparent,but more heavier than acrylic.Logo on crystal trophy can be engraved or printed.